Just outside the town of Banff lies 3 beautiful lakes known as the Vermillion Lakes. By the time we arrived in November the first lake had mostly frozen over and was covered with snow. The second lake was starting to freeze and the third lake was somewhere in the middle. What makes the Vermillion Lakes special is that Mt. 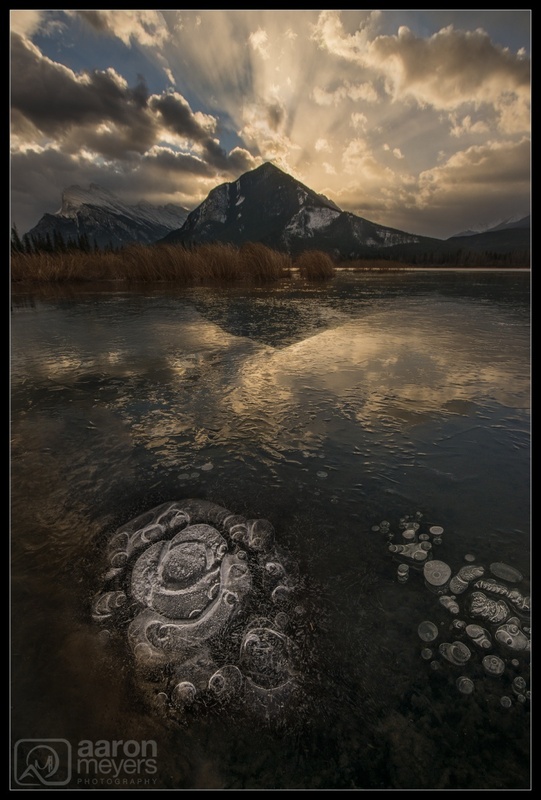 Rundle sits behind them and when the sun rises, it can leave some amazing scenes in its wake.